Your gown is cleaned using our specially Developed Baptiste Process®. 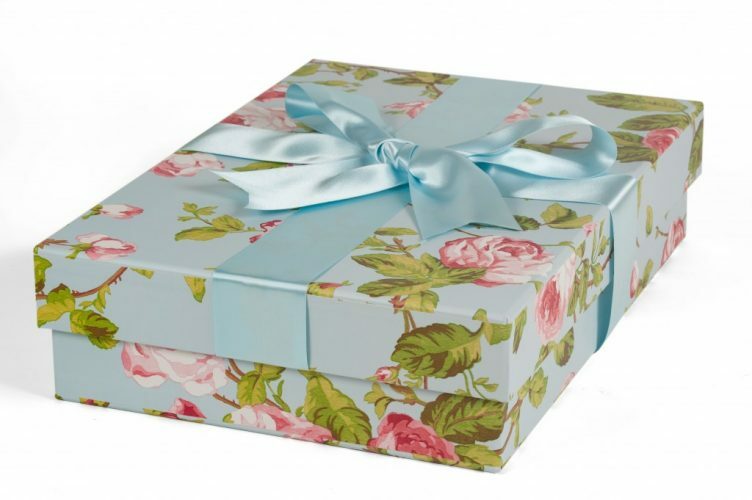 It is then steamed and packed into a beautiful hand made acid-free box in a house design of your choice, protected with layers of acid-free tissue. This will protect your gown from dust and light and prevent discolouration. Where possible we will insert an acid-free bodice inside your gown to help keep the shape and structure of the bodice. Please select a box size together with a design from the swatches below (a larger preview will appear in the image window). 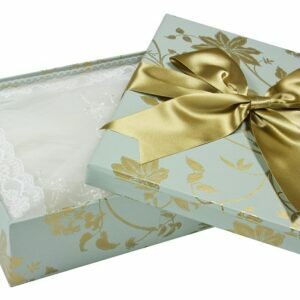 This box is suitable for very slim fitting bridal gowns with no net petticoats or train. 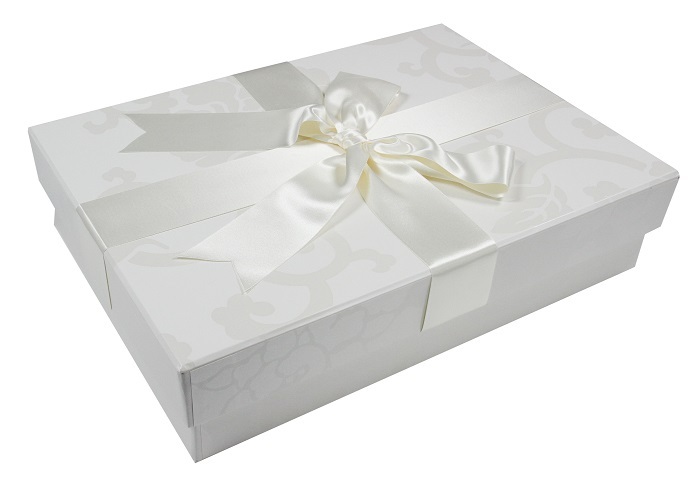 This box is suitable for most slim / a-line styles of bridal gown with up to two net petticoats and a small train. This box is suitable for fuller skirted styles of bridal gowns with around three to four net petticoats and a train. This box is suitable for very full skirted styles of bridal gown it is the volume of the traditional standard and extra-large box combines allowed for around 10 layers of petticoat. It can be hard to tell which size of box is best for your style of Gown. If, upon receipt, we felt the box was not quite suited to the style of your Gown, we would advise further when we call to confirm safe delivery. There are also options for calligraphy personalisation with this item and accessory cleaning. 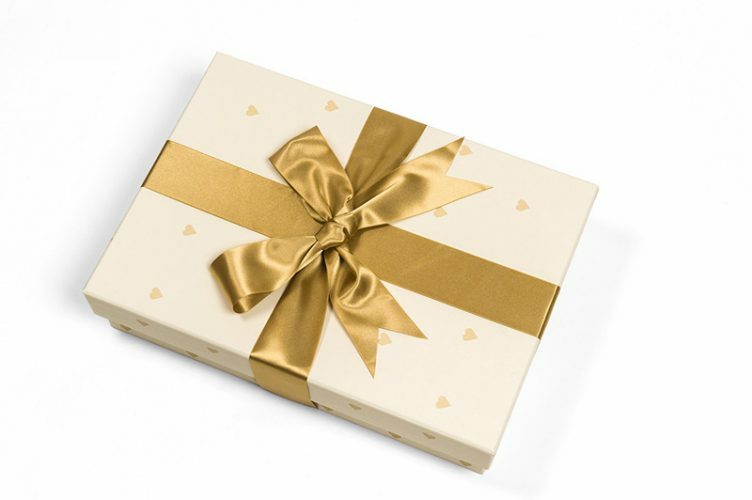 If you would like to have other items cleaned and packed in to this box with your wedding gown such as a Bolero/Stole, a veil or even your bridal shoes pleases tick the item(s) you require below. You can also have your tiara packed (but not cleaned) too. PLEASE NOTE; These items are not packed or boxed separately. They will be included in the box with your bridal gown. However, we do offer a separate cleaning and packing service with acid free boxes for most accessory items if required. Click here to view this range of products for more details.